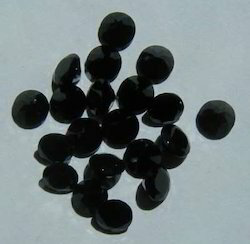 We are a leading Manufacturer of black spinel gemstones and natural black spinel gemstones from Jaipur, India. Black Spinel is also called melatonin and black garnet. This stone is very highly shined stones like black diamonds. We have all shapes like oval etc. Sizes start from 1.00 mm to 30.00 mm.